For Sale in Wisbech for Asking Price £300,000. A superbly presented detached family home offering a recently replaced kitchen, utility room, bathroom and new double garage. This home has been renovated to a very high standard so you can move straight in and start living the dream. 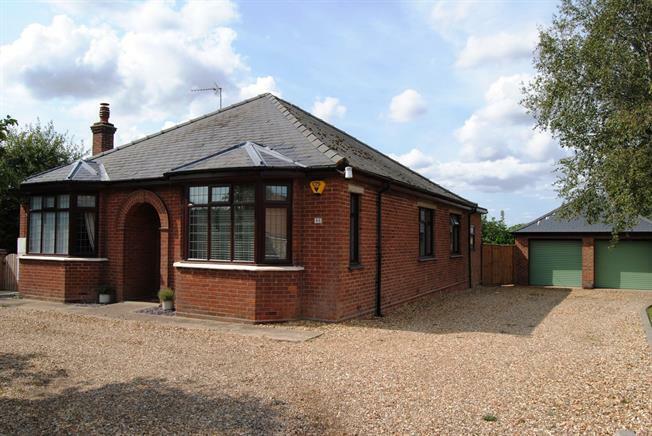 The home has oil central heating, double glazing, lounge, dining room, kitchen/dining room, utility room, bathroom, jack and gill shower room, and 4 bedrooms. Bedroom 4 is currently being used as a play room but could easy be utilised as another reception room. The gardens are enclosed and have a patio area across the rear. This home needs to be seen to be fully appreciated. Double glazed uPVC bay window, wood burner. Double glazed uPVC window, composite work surface with wall and base units, inset sink, space for range oven. This has an open plan feel with a breakfast seating area and a log burner. Double glazed uPVC window, composite work surface with wall and base units, inset sink, space for washing machine and dryer dryer. Double glazed uPVC bay window, radiator. Double glazed uPVC window, radiator. Double glazed uPVC window, heated towel rail, low level WC, corner shower, pedestal wash hand basin. Low level WC, panelled bath, walk-in shower, vanity wash hand basin. Twin electric garage doors with a personal door to the side. The drive is mainly gravelled and has a turning area. The rear garden has a patio area over looks fields. The double garage has recently been rebuilt and has electric twin Rolla doors and a personal door to the side.